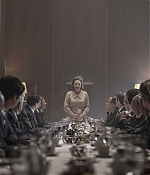 A fantastic batch of new production stills from “The Post” have been added to the photo gallery. 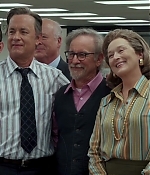 Also, with many thanks to Frank, here’s an update on the recent critics awards announcements: “The Post” has won Best Picture and Best Ensemble by the North Texas Film Critics Association Meryl Streep is Runners-up as Best Actress (2nd Place), Tom Hanks comes 3rd place as Best Actor and Steven Spielberg landed in 4th place as Best Director. 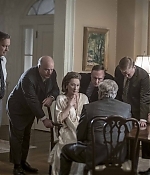 The ensemble of “The Post” was Runners-up by the Southeastern Film Critics Association and the Indiana Film Critics Assosiation and is nominated by The Online Film Critics Society. 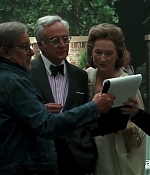 Meryl and Tom are both Runners-up by the Dallas Fort Worth Film Critics Association (both on the 5th Place), the film came in 2nd place for Best Picture and Spielberg once again 4th place for Best Director”. 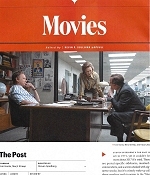 Additionally, “The Post” has been included in the Top 10 lists by the Indiana and Southeastern critics. Congratulations and thanks to Frank for the heads-up. “The Post” premieres in Washington D.C. 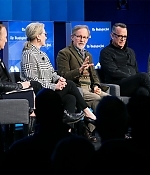 The Washington D.C. screening, held at the Newseum, was the ultimate mash-up of Fictional Washington and Real Washington: boldface actors who play Posties and government types on the big screen jostled alongside real-life Washington journalists and officials. 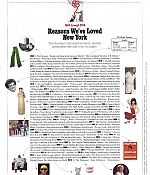 Jeffrey P. Bezos, the Amazon founder and chief executive who owns the Post, and Post publisher Fred Ryan passed by with smiles and nods, as did other locals, including CBS’s Major Garrett, Chris Wallace of Fox News, and Sen. Patrick J. Leahy (D-Vt.). Spielberg says that shouldn’t be interpreted as explicitly partisan, even though President Trump is waging a daily Twitter war against the mainstream media. 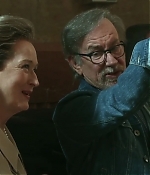 “It’s a patriotic film,” Spielberg says. “I don’t think patriotism is partisan.” Pictures have been added to the photo gallery, with many thanks to Maria for submitting some of them. More coverage of the Washington promotion follows tomorrow. News courtesy Digital Spy: The Graham Norton Show is really rolling out the red carpet and inviting Hollywood royalty onto its sofa. 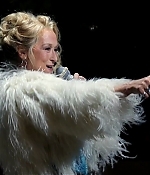 On Friday, January 19, the late night chat show will welcome Meryl Streep and Tom Hanks. 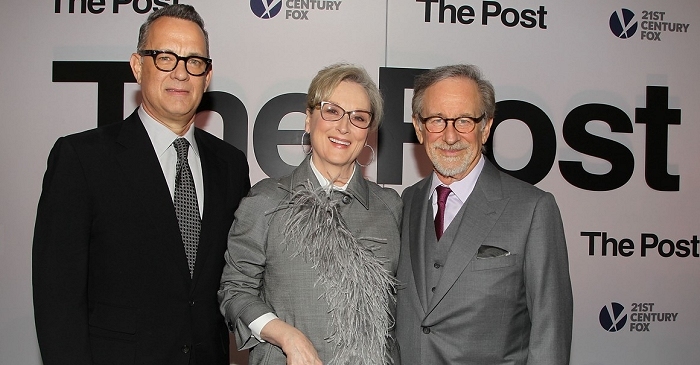 Both actors will be promoting their forthcoming Steven Spielberg movie The Post, which has already picked up awards season buzz and nominations And… that’s it! Yes, apart from musical guests in the form of band First Aid Kit, Tom and Meryl will be the ONLY celebrity guests; which, if you think about it, actually makes a lot of sense. We mean, any more star power put on the sofa and it would FOR SURE crumble to dust. 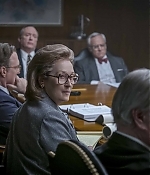 The Post tells the true story of Katharine Graham (Streep); the first female publisher of The Washington Post. 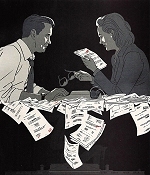 With help from editor Ben Bradlee (Hanks), she races to catch up with The New York Times to expose a massive cover-up of government secrets that spans three decades and four US presidents. 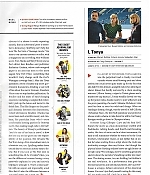 The movie was actually on last year’s ‘Black List’ (best movie scripts without a deal), and was rushed to cinemas in an incredibly quick – and practically unheard of – turnaround. It’s now primed to dominate the awards season. 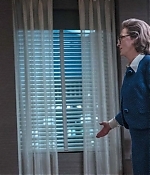 The Post has already been nominated for six Golden Globes; with both Streep and Hanks up for the best actress and actor in a a motion picture gongs respectively. Spielberg was nominated for best director, while the film has also secured nominations for Best Motion Picture, Best Screenplay and Best Original Score. The Post is in cinemas on January 19. The Graham Norton Show featuring Hanks and Streep will air at 10.35 pm on Friday, January 19 on BBC One. 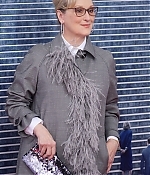 Combined, award-winning actors Meryl Streep and Tom Hanks have appeared in more than 100 films. 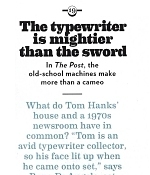 But “The Post” marks the first time they are on screen together. 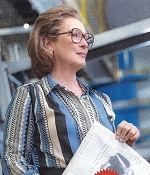 In the movie, Streep plays Katharine Graham, the publisher of the Washington Post, and Hanks portrays legendary editor Ben Bradlee. 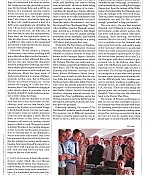 The plot centers on the paper’s famous and difficult decision to publish top secret government information from the Pentagon Papers in 1971. 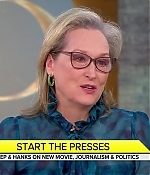 Streep and Hanks join “CBS This Morning” to discuss how the film resonates today. 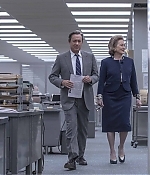 The promotion for “The Post” is on a roll with the official b-roll footage and interviews with the cast and crew being launched. Hopefully, a couple of insightful featurettes will follow. Both clips can be watched below and in the video archive. 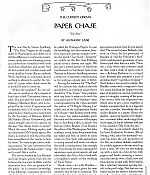 This morning, “The Post was among the leading motion pictures to receive Golden Globe nominations, earning 6 in total. 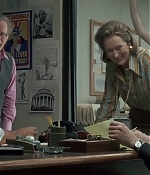 Steven Spielberg’s Pentagon Papers drama received nominations as Best Picture (Drama), Best Director for Spielberg, Best Actor (Drama) for Tom Hanks, Best Actress (Drama) for Meryl Streep, Best Screenplay for Liz Hannah and Josh Singer and Best Original Score – Motion Picture for John Williams . “The Shape of Water” leads with seven nominations. “The Post” and “Three Billboards Outside Ebbing, Missouri” received six each. “Lady Bird” has four nominations, and “I, Tonya”, “The Greatest Showman” and “Dunkirk” each have three. 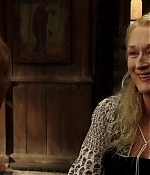 This is Meryl Streep’s 31st nomination for a Golden Globe! 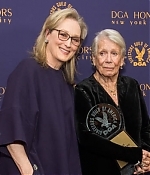 She has won nine, eight for her fim work (for “Kramer vs. Kramer”, “The French Lieutenant’s Woman”, “Sophie’s Choice”, “Adaptation”, “Angels in America”, “The Devil Wears Prada”, “Julie & Julia” and “The Iron Lady”) as well as the Cecil B. DeMille Award last year. 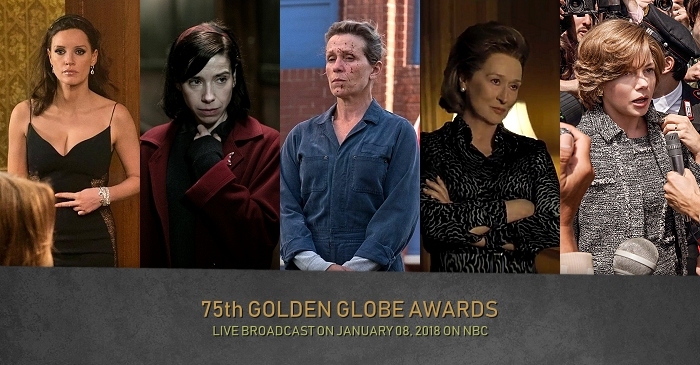 The Golden Globes will be handed out quite early next year during a live ceremony on January 07, 2018.